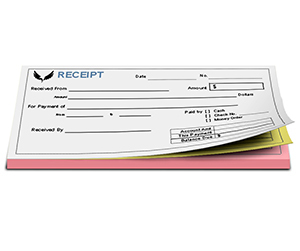 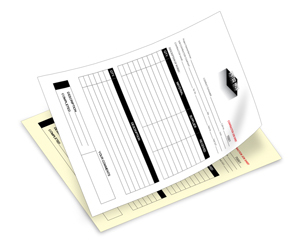 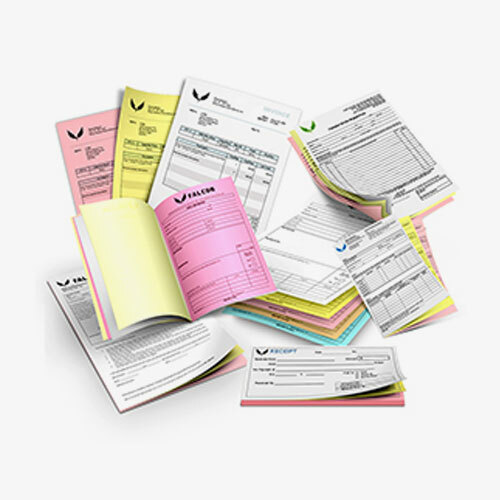 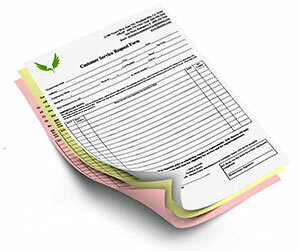 Carbonless forms have outmoded the messy carbon papers that were used for filling out forms and invoices. These magical carbonless forms do not require any carbon paper and can help you creating three papers at a time. 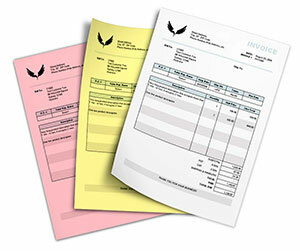 Printingblue offers 2 part carbonless forms letting you get the best out of your finance and accounts department needs. 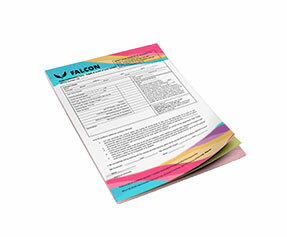 We print them on premium quality carbonless paper stock to ensure maximum convenience for our customers. 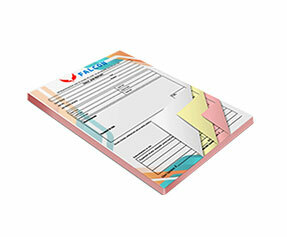 You may order them printed on both sides or on a single side as per your requirements. 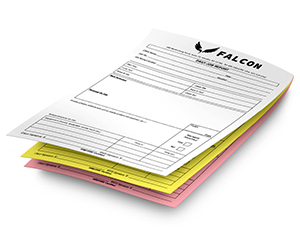 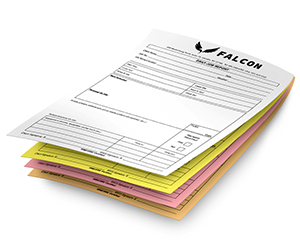 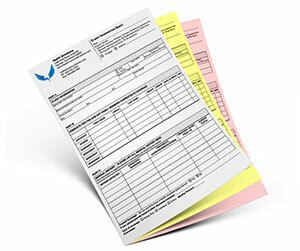 2 color or 3 color printing is also offered for your carbonless forms. 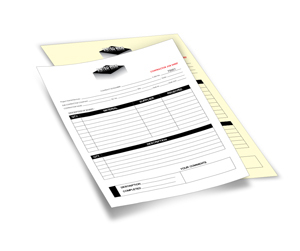 Moreover, you may request sequential numbering from the starting number of your choice. 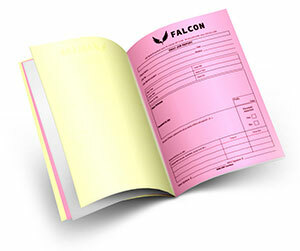 Premium quality binding and perforation are also done to ensure safety of your valuable documents. 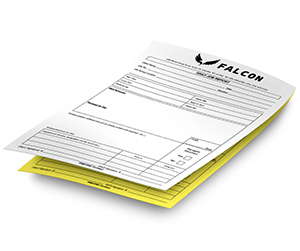 To place your order, contact one of our customer care officers via live chat or phone call now!